"I think it abundantly clear that what we have been told about what took place on 4th March in the beautiful city of Salisbury is not, in fact, true. It is clear that something else happened, and much of what we have seen since then has been theatre and an attempt to cover up what actually took place. Original posted By ” John Helmer (Dances with Bears) John Helmer is the longest serving foreign correspondent covering Russia. He published his fascinating memoirs in December of 2018. They are full of insights into what has really been going on in Moscow over the past 30 years. 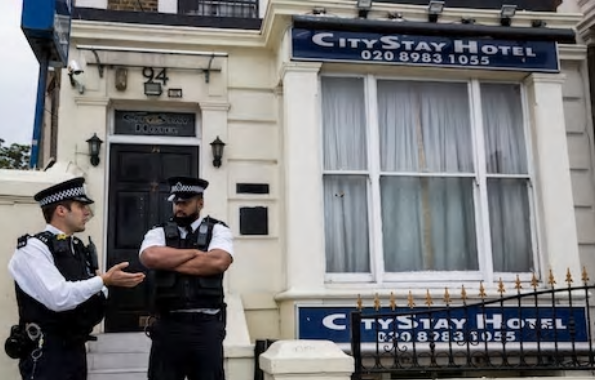 Skripal’s study is to the right of the door. Right: Sgt Bailey’s police car being examined by investigators. Meanwhile, here are some photos from the comments at RI.....by franz Kafka. Huge thanks to John Helmer for nailing this. Dead, dead dead... and in heaven.